Taiso Gymnastics Club has been bringing the benefits of gymnastics to Saskatoon for over 40 years! Taiso is a padded playground in a giant warehouse. Taiso provides a FUN environment where kids can get FIT. We are one of only 6 men's National Training Centers in Canada, a unique gymnastics facility with many trampolines, ropes, rings and specialized apparatus for climbing, swinging, and hanging. Taiso is a safe facility, with state-of-the-art foam pits where kids can learn to flip and twist with minimal risk of injury. In 2014, due to expanding programs and enrollment, Taiso moved from 47 St. E (6700 sq ft) to its current 15,000.00 sq ft state of the art facility on Quebec Avenue. Taiso volunteers transformed "Mattress Zone" into "the place to be" for gymnastics in Saskatoon! In September, 2015 the new facility was opened! Renovations to the Mattress Zone were required to transform a sleepy, restful place into a facility equipped to train and develop champions at all levels. Taiso Gymnastics Club was founded in 1979 by Dr. Keith Russell and has been growing and evolving ever since. Taiso’s mandate was, and still is, to produce national and international level, competitive male gymnasts and we have been very successful in this endeavor. 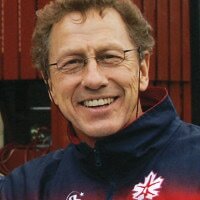 Taiso holds the distinction of having a gymnast on the Senior Canadian Men’s National Team for more than two decades. Taiso is designated one of two Men’s National Training Centres in all of Canada. We are proud that our head coach, Markos Baikas, is also the Canadian Junior Men’s National coach. Taiso also has vibrant recreational programs for boys and girls of all ages. Our recreational classes improve strength, flexibility and coordination all while having fun. Athletes in the recreation program progress through a badge system as they gain skills. We also have drop in classes for pre-schoolers, teens and adults. More recently, we have started a girls program for girls interested in competing at the provincial level. The focus of our girls program is to provide challenging, progressive instruction in a supportive environment. Empire Parkour also trains out of Taiso and offers classes in this increasingly popular sport. To learn more about Taiso, stop by to see our space. Our office staff will be happy to answer any questions about our programming! have to make their approach run down a hallway. in vault in the 1984 Games.